Denying the universal popularity of pools is impossible. They provide people of all ages a place to hang out and have fun, particularly during the summer months, But, not everybody has the luxury of having their own, private pool in their backyard. This means that many people are left to rely on public, commercial pools. There is a multitude of things that are required of commercial pools, but one critical feature that pool managers should never ignore is the need for high-quality commercial swimming pool drains. Here are some of the most important reasons to never overlook commercial swimming pool drainage. Standing water may not seem like a big deal, but it can actually cause many different issues. One of the most significant issues with standing water is that the longer water is left to pool on the ground, the more It can begin to erode at the concrete, making it uneven, and may even create cracks and fissures in the ground. While it takes time for water to erode at the ground, it is a major issue to be aware of. Eventually, if left untouched, the uneven, cracked ground create tripping hazards, which and lead to serious injuries and the need for costly repairs. By having proper ground drainage, any water that collects on the ground will be able to flow towards the drain, where it can’t cause harm to the ground’s surface. Standing water is not just damaging to the ground surrounding the pool. Without good commercial pool drainage, water may not drain quickly or at all. This leaves the ground slick with water, which also has the potential to create serious safety hazards. With the right kind of ground drainage, most of the water that is on the ground due to people splashing and exiting the pool will flow directly towards the drain. This will allow whatever slick residue that is left over to dry much faster, especially in outdoor commercial pools which are exposed to more natural sunlight. Commercial swimming pool drains are also vital because they will help in the prevention of mold, mildew, and bacteria growth. 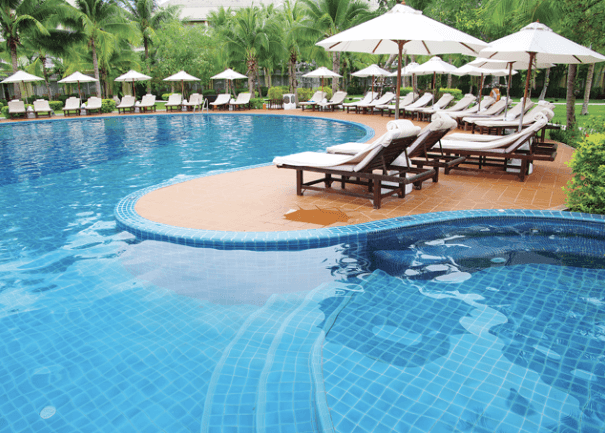 Some of the many waterborne bacterias that occur in and around pools include E. coli, Shigella, protozoa such as cryptosporidium and giardia, and even hepatitis A and norovirus. These bacterias can cause serious health problems, which is what makes maintaining public pools so vital. Part of that pool maintenance is having the right drainage system in place, so that water can be moved away from the surface and into a bacteria-resistant channel, where it can’t be spread. Of course, just having a drain system won’t completely eliminate bacteria from the pool area. Cleaning and disinfecting are also critical steps, for the pool, the surrounding area, and even the drain itself. While pools are designed to be filled and surrounded by water, if any water gets past the pool liner, it can begin causing problems. The more water gets past the pool lining, the more likely the pool is to start to float. It can even reach a point where the lining actually pops out of the ground. This can require costly repairs, especially if the pool’s foundation gets damaged due to the water. 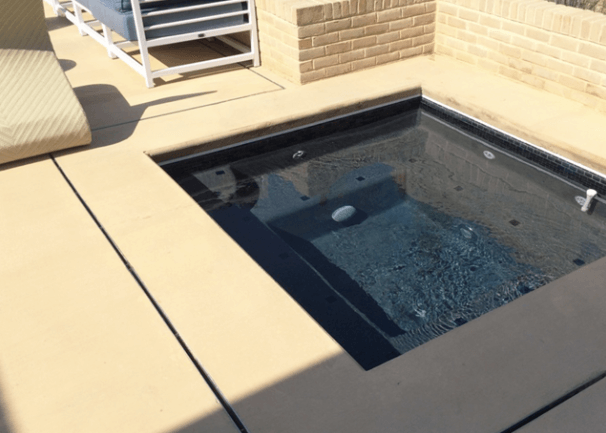 By having commercial swimming pool drainage in place, that water will not have a chance to collect under the pool lining, which will prevent it from floating or popping out of place. 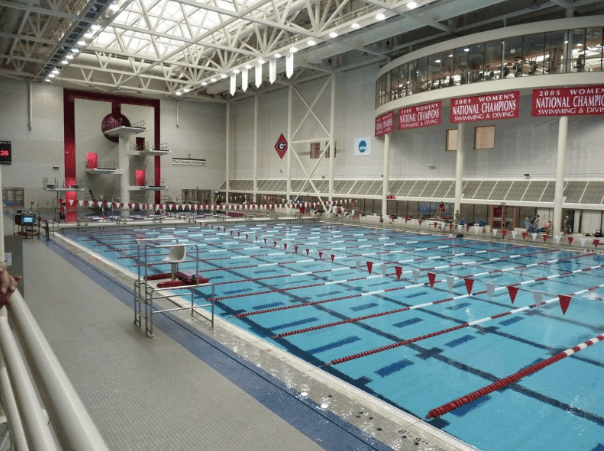 The right commercial swimming pool drains will have durable materials like stainless steel, which is a nonporous material that is bacteria-resistant and can handle various temperatures without any issues. One brand to consider is the Slot Drain System. Slot Drain is a newer style of trench drain that comes pre-sloped and pre-assembled, making it incredibly easy to install. There are different model options for Slot Drain, including a shallow profile model marketed towards swimming pools. Also, due to the design of this system, it blends seamlessly into any setting, so there is no concern about it ruining the aesthetic of the pool area. 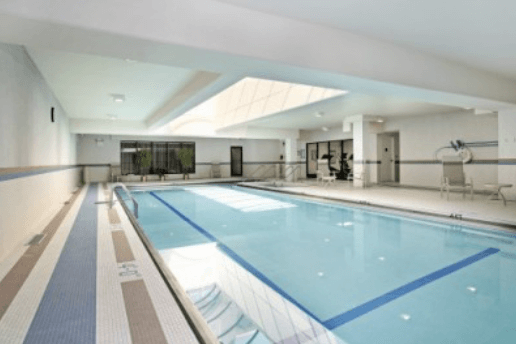 Commercial swimming pool drainage is a vital part of any commercial pool. Having the right drainage will help protect the pool from various types of damage that can be caused by standing pool water. In addition, it will protect everyone who uses the pool from the numerous, dangerous bacterias that can begin growing in pool water. 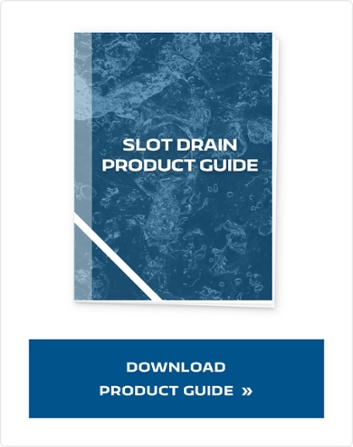 While there are different drainage options, Slot Drain offers a modern alternative that is not only highly effective but is designed in such a way that it will blend easily with any design style, and not attract too much attention.